The first crop of names have been announced for CW102 at London’s Indigo at the O2 on March 2nd, including ex-UFC Welterweight Craig White and former CW title challenger Sam Creasey. Craig White is the first name to be confirmed in the March 2nd card, after a 2-fight run with the UFC against top contender Neil Magny and welterweight legend Diego Sanchez. 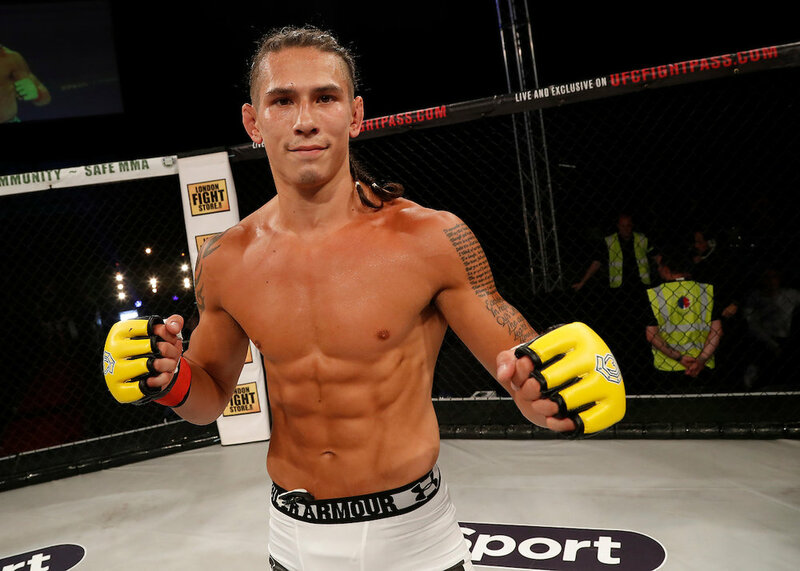 Although White picked up two losses in his UFC stint, his prior 4-fight unbeaten streak saw him add some impressive finishes to his highlight reel and take him to the cusp of a Cage Warriors title shot. White has kept his 100% finish rate intact across 14 wins, and looks to put himself in CW title contention once again. Second to be announced is Sam Creasey, a dynamic and dangerous flyweight with a 10-2 record and a reputation for providing the London crowd with big finishes. Since Creasey narrowly lost out on his chance at the flyweight title at CW92, he has bounced back with a dominant TKO finish at CW96 and heads to the Indigo in search of another. In the lightweight division, Perry Goodwin faces Rhys McKee and Jai Herbert takes on Steve O’Keeffe. Fans in attendance at the huge CW100 card in December 2018 witnessed the finishing power of McKee and Herbert first hand, with both men picking up first-round TKOs. Similarly, Goodwin shocked the CW98 crowd with an massive KO over Alexander Jacobsen, and O’Keefe boasts an impressive 100% finish rate across 9 wins with one of his only losses being against ex- Cage Warriors and UFC champion Conor McGregor. Further down the card, former UFC veteran John Maguire takes on Brad Wheeler, a veteran of the Cage Warriors roster with 15 finishes in his 17 wins. Tickets for CW102 are on sale HERE, with 20% off for Early Birds.